Adjustable gland nut wrenches are engineered to fit and work with hydraulic cylinders typically in construction and farm equipment scenarios. Generally they are designed to fit nuts 2 to 6 inches in diameter, and reversible to fit 1/4 inches to 5/16 inches- click through to the product page for more detailed specs. The 2.2 lb., OTC adjustable gland nut wrench can be pricier than other alternatives, but is one of our highest rated options. It is 16 mm thick on its body, and 8 mm thick on the hinge, and users say that a 3/4 inch drive is required to drive it. One user even describes working on a cylinder nut that he couldn't loosen even with a flame torch and a sledgehammer. He ended up attaching his gland nut wrench to a three-quarter ton plow on his truck and after a few pulls the gland nut finally cracked loose- he was amazed at how durable this OTC nut wrench was. Many users say that it's a must buy if you are working with big hydraulic cylinders- with people on farms, logging crews and automotive specialists writing that they no longer have to risk damaging their hands pounding on a stubborn gland nut. Let's take a look at five of the best-selling adjustable gland nut wrenches on the market today and see how they compare. The AMPRO T70566 GL and Nut Wrench is a solid option for those looking for a dependable and reasonably priced gland nut wrench. 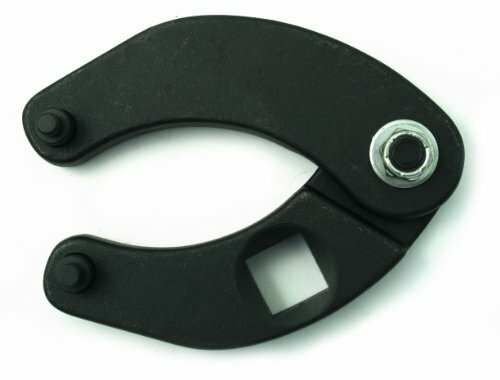 Most users appreciate the value and functionality of the AMPRO GL and Nut wrench, due to its adjustability, which allows it to fit various diameters. Some users, however, experienced issues with the pins of the T70566. 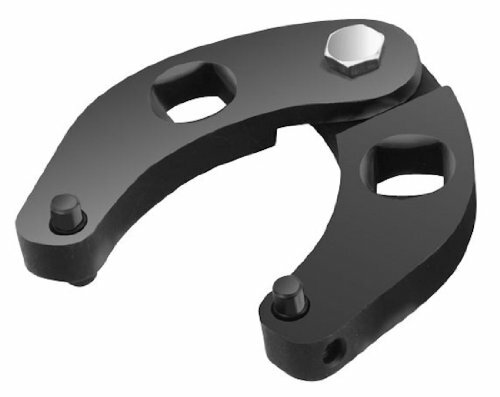 In general, most users found the AMPRO Nut Wrench to be a solid option for those looking for a tool that can remove most gland nuts from hydraulic cylinders. Most users praised the AMPRO even if the T70566 takes some time to set up properly and learn how to use. In addition, users pointed out that because the pins are replaceable using set screws the AMPRO T70566 GL and Nut Wrench is a tool that can be used years after its purchase. However, some users experienced issues with the pins falling out making gland nut removal more difficult. All in all, the AMPRO Wrench is a solid option for those looking for a tool that provides good value and versatility. 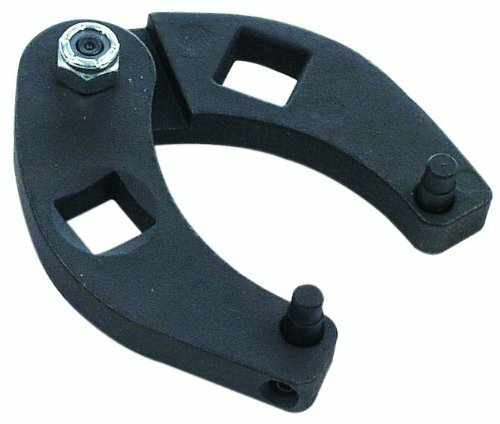 The OTC Adjustable Gland Nut Wrench is an excellent performer that has proven to be capable of removing hydraulic cylinders used in a variety of heavy duty equipment. Most users have praised the OTC 1266 for its durable construction and versatility. Some buyers, however, have said that the OTC wrench struggles when used on stubborn nuts that are difficult to remove. All in all, the OTC is a well-built and versatile tool that can handle most difficult jobs- though it might take some improvisation to loosen those really stubborn nuts. Most users of this adjustable wrench found it to be a rugged tool capable of working with cylinders on heavy-duty equipment that are often found in farming and construction environments. Buyers liked the versatility of the 1266 Adjustable Gland Nut Wrench due to its customized fit on gland nuts ranging from 2” to 6” in diameter. One user was able to replace several other non-adjustable tools with this OTC wrench. Some users did find some pin movement with the 1266. These problems were rare, however, making the OTC 1266 Adjustable Gland Nut Wrench a top performer. The CTA Tools Adjustable Gland Nut Wrench is a reasonably priced and reliable wrench that can be used for a number of different applications. Users of the CTA Tools Gland Nut Wrench found the ability of the 8605 to work on gland nut from 2-inch to 6-inch to be a valuable quality, enabling it to be used in a variety of ways. However, some users found the CTA Tools 8605 to have problems with the pins moving. In general, the CTA Tools Wrench is a solid option for those looking for a good performer at a decent cost. Users of this gland nut wrench gave it high marks for its reversibility and for its ability to fit hydraulic cylinders of different sizes. In addition, its solid construction gives it the ability to withstand heavy loads when used with a ¾-inch ratchet or breaker bar. Even though some users had problems with the pins staying in place, the CTA Wrench is a great choice for the value-conscious buyer looking for a dependable wrench. The AMPRO T70567 Adjustable GL and Nut Wrench is a solid option for users that are looking for a versatile tool that be used for a variety of purposes. Most users of the AMPRO love the durability and the fact that it’s fully adjustable, capable of fitting 2-inch to 6-inch hydraulic cylinders. Other buyers felt there were some flaws in the design limiting its usability. All considered, the AMPRO T70567 Adjustable GL and Nut Wrench is a good product if you’re looking for something reliable and reasonably priced. 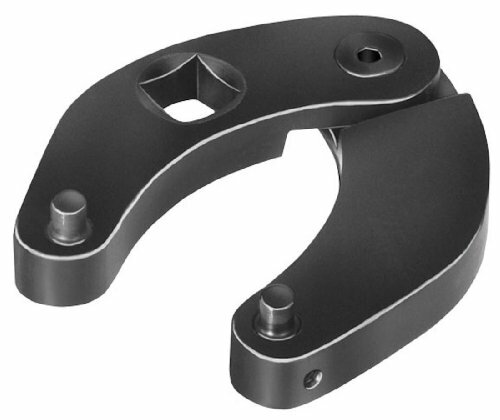 Users of the AMPRO T70567 praised the wrench for its reversibility and ability to fit ¼ inch to 5/16 inch pin holes and the fact that it can be used on a wide range of hydraulic cylinders. One user pointed out that the AMPRO was less than half the price of what he thought it would cost and worked great with a 3/4 inch drive. Other users found the pins to be oversized. Overall, the AMPRO T70567 Adjustable GL and Nut Wrench is a great choice if you’re in the market for a wrench you can use for different jobs at a good price. The OTC 7463 Universal Gland Wrench is a good option for users looking for a dependable tool that can be used on almost any piece of heavy duty equipment. The design of the OTC 7463 Wrench allows it to work on hydraulic cylinders ranging from 1 to 3-¾ inches providing its users with great value. Although some buyers had problems with the pins, the OTC 7463 Small Universal Gland Wrench is a very good option if you need a dependable gland wrench that can be used for most equipment. 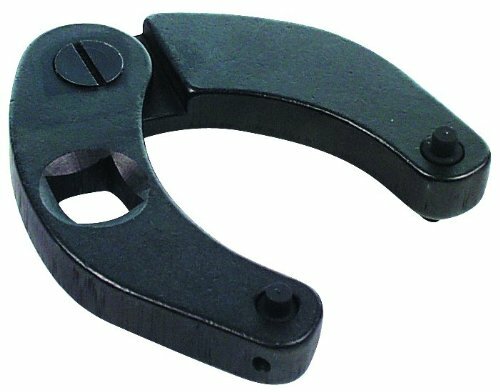 Reviewers of the OTC 7463 Small Universal Gland Wrench love the fact that this reasonably priced wrench is both fully adjustable to fit different hydraulic cylinders and reversible to accommodate various pinholes. One buyer found the OTC 7463 Small Universal Gland Wrench to be perfectly balanced and a big time-saver for a forklift cylinder cap. Although one user reported having a problem with the hinge bolt the OTC 7463 Small Universal Gland Wrench. Is a great option if you’re in the market for a tool with great value and durability. Adjustable wrenches are a style of tool that allows the user to adjust for different environments and settings- most typically for the size of the nut you will be working with. As you are well aware, many tools and wrenches can only work with a specific size of nut- this makes adjustable nut wrenches an important and dynamic tool to stow away in your toolbox if you are a home repair enthusiast or a professional service technician. 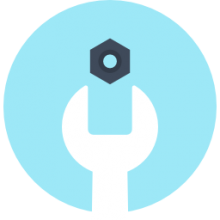 It can often be challenging to find the right tool for a specific-sized nut or screw- that's why, again, it makes sense to look into adjustable wrenches so you can be prepared for any task you come across in your repair career. In the case of adjustable gland nut wrenches, the nut is often incredibly tightly screwed on packing retainers-this requires the user to really work at loosening it by applying grease, and other tricks, and as we have seen one user even tied his gland nut wrench to his truck's towline to pry open a stubborn hydraulic cylinder nut. If you are in the market for an adjustable wrench of this variety- take a look at our comparison table, read through all the product specifications on the individual product pages, and take a glance at the individual review write ups on this page to get a sense of the different options on the market.